If you’re like everyone else who owns a mobile device, you’re probably using it a whole lot more than you used to. And why not? Smartphones can do nearly as much as your favorite PC, but without the tether that usually goes along-side a traditional desktop. Maybe you’re responding to work emails, reading today’s news, texting friends and family about dinner plans, or (more often than not) fulfilling that insatiable Netflix addiction. But did you know that you can also catch up on your home’s electricity use from your smartphone? 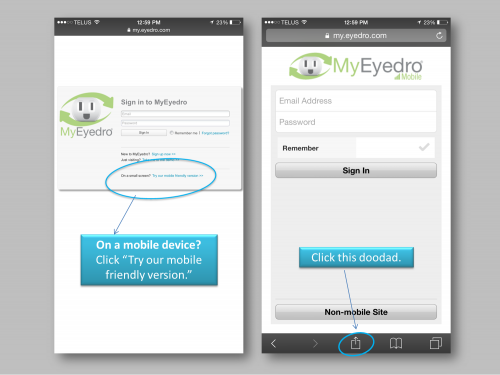 Lots of our customers enjoy checking MyEyedro from their mobile browsers, but there’s an even easier way to keep an eye on your electricity use while you’re on the go. 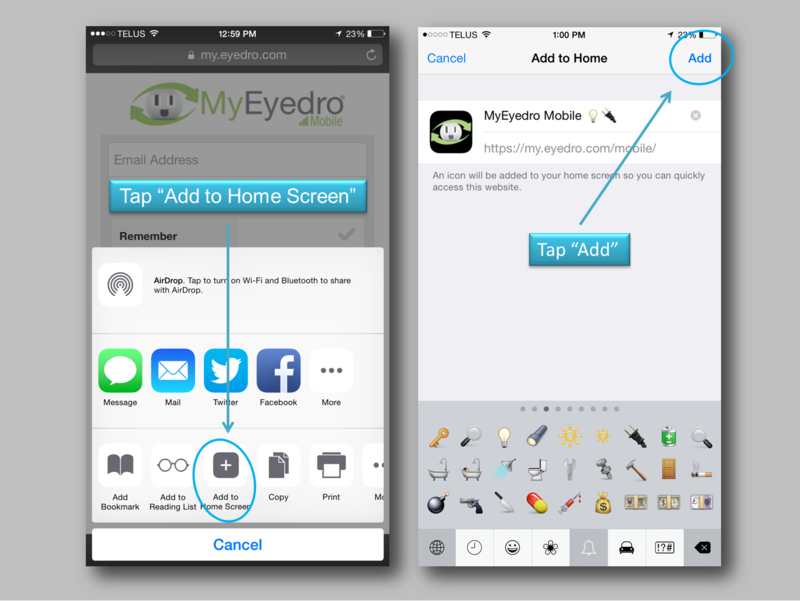 Here are a few simple instructions on how to add MyEyedro to your smartphone’s Home Screen. Step 1: Open Safari and visit http://myeyedro.com. If the mobile version doesn’t automatically display, click “Try our mobile friendly version.” When you get to the mobile friendly version, click the symbol that looks like a square with an arrow coming out of it (let’s just call it: “doodad”). Step 2: Tap “Add to Home Screen”. Feel free to rename your link as you see fit, and then tap “Add”. Step 3: That was easy wasn’t it? 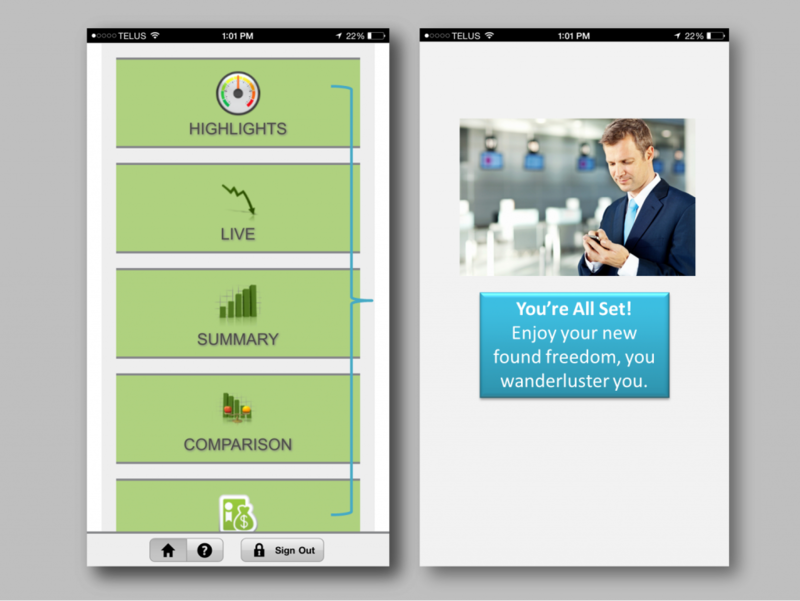 You should now see the MyEyedro “app” located on your Home Screen. Tap the icon to enter MyEyedro and proceed to login. Remember to tap the green arrow if you would like the app to remember your login information for next time. Step 4: Go somewhere, anywhere. Have a cocktail. You’re free to check your electricity from anywhere. Now you just have to remember your phone. Not using an iPhone? 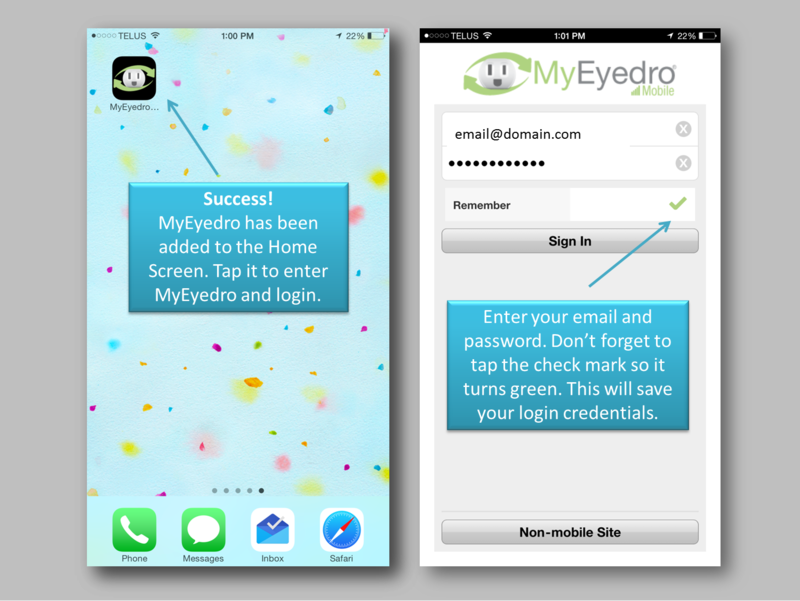 No sweat, here’s how to add MyEyedro to the Home Screen on any smartphone or tablet.